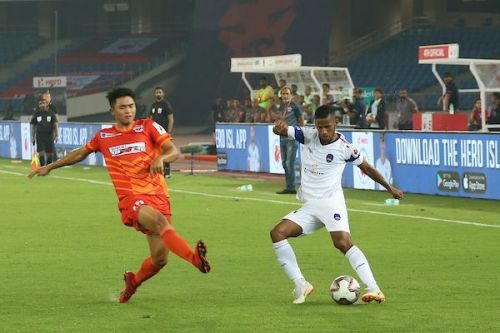 Delhi Dynamos FC couldn’t hold their supremacy against FC Pune City as they drew 1-1 at the Jawaharlal Nehru Stadium in New Delhi on Wednesday. 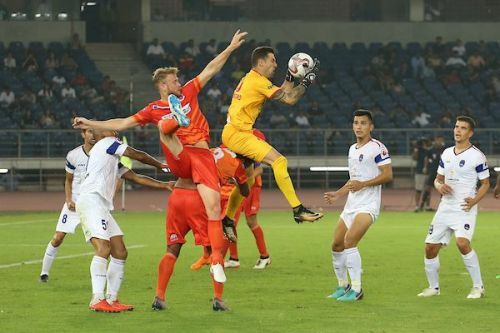 Rana Gharami, who made his debut in Indian Super League last evening, put the home side ahead with a sublime strike from 40 yards, giving the opponent goalkeeper no chance. However, substitute Diego Carlos got the equalizer just a couple of minutes before the end, ensuring his team at least a point in a difficult match. Pune could have won the match had they converted their chances. On the other hand, Delhi was solid for a better part of the match but some sloppy defending towards the end cost them two points. In Narayan Das and Pritam Kotal, Delhi have the two best fullbacks of the country. Narayan, who plied his trade for FC Goa in the previous season, put up a commanding display from the left side. He was not only solid in defensive roles but often doubled up as a winger. Pritam, who wore the captain’s armband, has also kept Ashique Kuruniyan, the best young player of the night, under check. In the middle, Rana Gharami and Gianni Zuiverloon built up brilliant understanding. But they were unable to hold their concentration till the end of the game. When Carlos played one-to-one with Alfaro, Pritam was nowhere near the ball. Narayan failed to mark Alfaro and despite Marcos Tebar’s effort, the goal could not be avoided. Delhi shouldn’t lose hope though. They still have good defenders, but they will need to work hard. The defenders need more understanding between them. Apart from his wonder goal, Rana showed much promise as a centre-back on his debut. If coach Josep Gombau puts his trust on the player, then Rana could be a household name by the time ISL gets over.